Lynx FBO Destin Voted as Top-10 FBO in U.S.
We are Lynx FBO Destin and we're extremely proud of being referred to as "One the top 10 facilities in the country". Lynx FBO Destin, designed for aircraft owners and pilots BY aircraft Owners and pilots and financed completely with private funds, is ready to welcome you to experience the very best when you visit Destin and Northwest Florida. If you're heading to Northwest Florida, South Alabama or the cities of Destin, Fort Walton Beach, Crestview, Niceville, Valparaiso, Navarre, The Beaches of South Walton or anywhere that we call The Panhandle of Florida, then Destin Airport is THE General Aviation center. 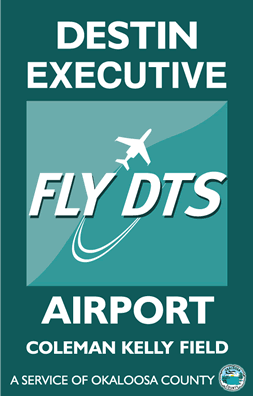 The premier FBO at Destin Airport (DTS) is Lynx FBO Destin. With our brand new 6,000 sq ft executive terminal and state of the art facilities for passengers and crew, Lynx FBO Destin combines the Glory Days of aviation with every latest technology and service.